Taglyan is proud to have taken such a big part in T.C.A. 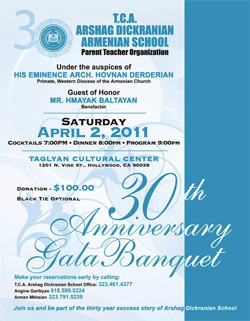 Arshag Dickranian 30th Anniversary Gala Banquet, which took place Saturday, April 2, 2011. 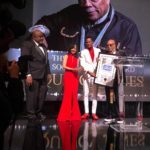 A memorable evening complete with cocktails, dinner, a candle lighting ceremony, raffles, performances and a specially organized program to give appreciation and acknowledgment to members of the Arshag Dickranian family.